The number of patients presenting with chest pain to emergency departments is increasing exponentially whereas numbers of patients with unstable angina or confirmed myocardial infarction (MI) remain stable or are even declining over the past two decades. The rush to emergency departments of patients who present with chest pain leads to crowding and dissatisfaction of both medical staff and patients. In order to provide an accurate diagnosis ensuring timely and appropriate treatment or discharge to avoid unnecessary hospitalization, clinical assessment to establish a working diagnosis is paramount. However, in patients presenting with suspected MI to the emergency department, the diagnostic performance of chest pain characteristics for MI is limited. Atypical complaints are more often observed in the elderly, in women, and in patients with diabetes, chronic renal disease, or dementia. Atypical presentations include epigastric pain, indigestion-like symptoms, and isolated dyspnea. 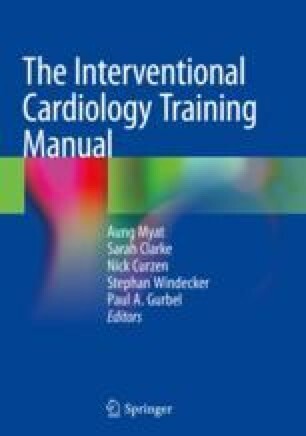 For this reason the 2015 European Society of Cardiology (ESC) guidelines recommend that in patients with suspected non ST-elevation-acute coronary syndromes (NSTE-ACS), diagnosis of ACS should be based on a combination of clinical history, symptoms, physical findings, ECG, and biomarkers, preferentially cardiac troponin I or T. Although diagnostic algorithms are based on biomarker measurements, ECG, and clinical assessment, guidelines can vary widely across continents and even within Europe. National Institute for Health and Clinical Excellence: Guidance. Unstable Angina and NSTEMI: The Early Management of Unstable Angina and Non-ST-Segment-Elevation Myocardial infarction. National Clinical Guideline Centre (UK). London: Royal College of Physicians (UK); 2010 niceorguk/guidance/cg94, last update November 2013, online access November 16 2016.